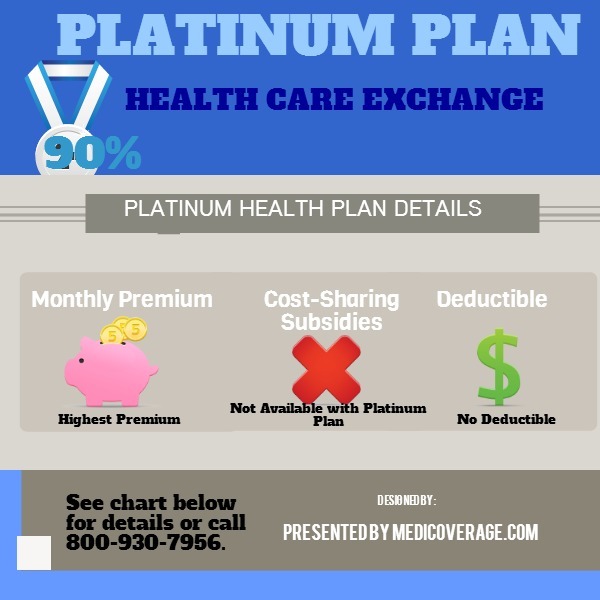 What is the coverage cost on physical therapy for the platinum health plan? I need to know for my medical class. While we’d love to help out, each state and Platinum health provider can cover physical therapy differently. Our best suggestion is get a Platinum health plan quote in your area, and look at the summary of benefits for physical therapy. Best of luck! I am in Ohio. I have been told by a number of brokers that there are no Platinum plans being offered in my location. How is that legally possible if Obamacare stipulates there be 4 plans? How do I determine what geographic area offers platinum plans? The exchange has only been able to type in zip codes and tell me if there is a platinum plan for that zip code. They can not tell me what zip codes have platinum plans. It would probably be less expensive for me to move to one of those areas than to select a bronze silver or gold plan. An insurance company does not have to offer Platinum, nor are any in one area required to offer a Platinum plan. The best way to figure out if there are Platinum plans available anywhere in Ohio, is to look up each insurer separately. If you need help finding a plan, in the zip code you determine you plan to move to, please call us at 800-930-7956. How much is the platium plan for a family of 3.. Thank you for your question. To learn the cost of a Platinum plan (or any plan), we would need ages, m or f, tobacco usage, zip code, and income (if you are looking for subsidies). Give us a call at 800-930-7956 to get a quote for your family. My spouse and I would like to know if we can just a catastrophic insurance plan for this year as we are still paying on some medical debt that my spouse had accrued several years ago? Thanks for your question. Generally speaking you would need to fall into a low income range to qualify for a Catastrophic plan and generally speaking the Bronze plan will offer you more for not much more each month. Call 800-930-7956 to learn if you qualify for Catastrophic coverage. Has Arizona published the preliminary premiums for the new metal plans, specifically gold and platinum? Thanks so much for your question. Arizona chose not to set up its own Exchange, therefore it defaulted to the fed’s page. Most of our clients have found the fed’s website a bit frustrating. We suggest you wait to sign up until the technical issues are fixed, and plan details such as doctor networks are available. In the meantime, check out Arizona ObamaCare premium rates -remember these are just general prices and don’t reflect all ages and premiums. And, don’t worry, you have until Dec 15 to sign up for coverage to begin on Jan 1. We are authorized to assist people to sign up so please feel free to call us at 800-930-7956. Are there any published premiums for the metal plans? Thanks for writing to us. Some states, such as California, Colorado, and New York, have released their preliminary premiums for the new metal plans. It would depend on which state you reside in. Call us at 800-930-7956 to learn if your state has published their premiums.